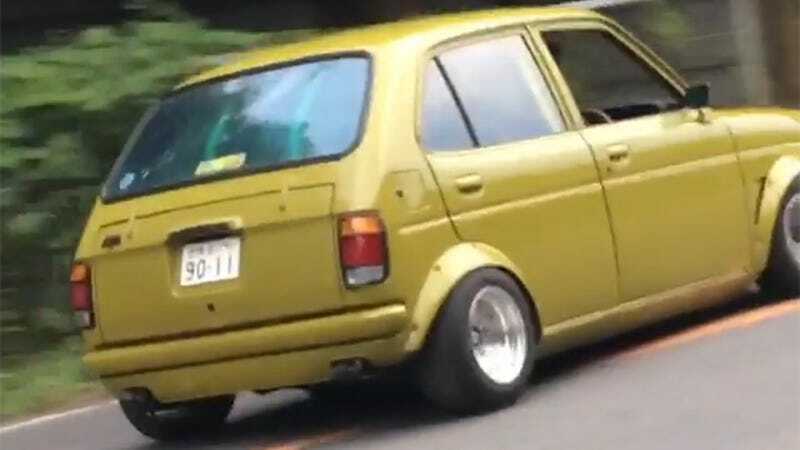 This is @prkbkr’s first-generation Honda Life, an upscale kei car of the early 1970s. Up front is a water-cooled version of Honda’s CB450 motorcycle inline-two and let me tell you, it is not quiet. Honda claimed a good 30 horsepower from this 356-cc engine, though it only had to push around about a thousand pounds. The Life went on to become a van after this generation, and remains a compact kei box-hatch thing today. It’s vaguely faster, too.